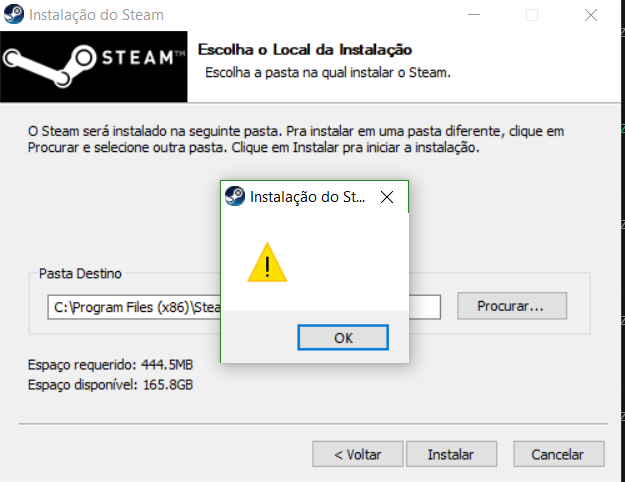 I redownloaded the client, restarted computer, tried install as administrator, etc. Someone know how to solve this? Without the name of error I dont know how to search for solution. My friend had same problem and he fixed it by accident. He has win 8 bdw. He fixed problem by changing install place from program files x86 to program files x64. Try it. You dont have nothing to lose. Not the answer you're looking for? Browse other questions tagged steam technical-issues or ask your own question. Can I install Steam on a machine running XBMCbuntu? Tekkit and Attack of the B-Team will not launch?